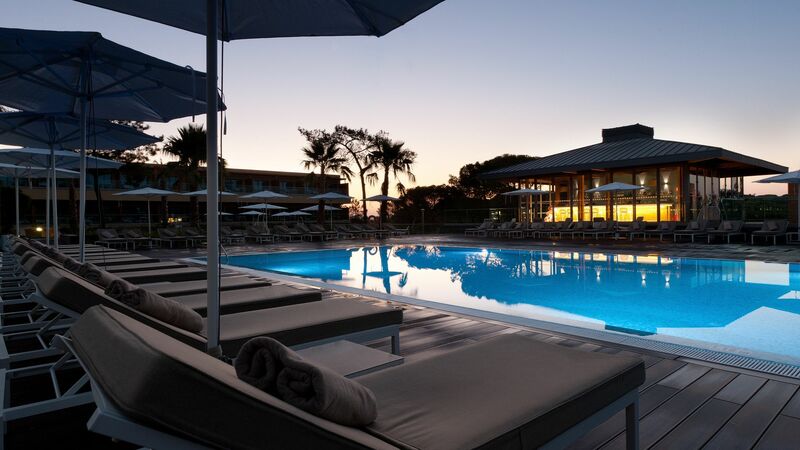 With a choice of hotel rooms, suites and resort suites, the 5-star EPIC SANA Algarve sits beside Praia da Falésia, the only beach in the Algarve to have been awarded the European Union's prestigious Golden Flag. 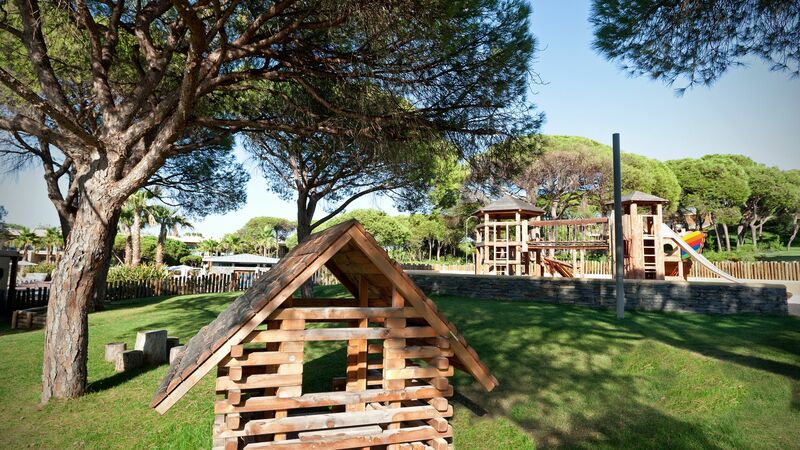 The resort is surrounded by pine forests, and rooms have been designed with décor that harmonises with this. The resort boasts five outdoor pools, including two for children, along with an indoor pool. There is a choice of restaurants and bars, with modern menus using excellent regional ingredients. The 1500m² Sayanna Wellness Centre offers nine treatment rooms, an outdoor pavilion for couples massages, indoor pool, sauna, steam room, and a wide range of Wellness Retreats, including Yoga and Detox. Nearby there is a range of golf courses, shopping, restaurants, and bars. The hotel has 229 rooms and suites. Hotel child prices apply to ages 0–5 and 6–12 years. 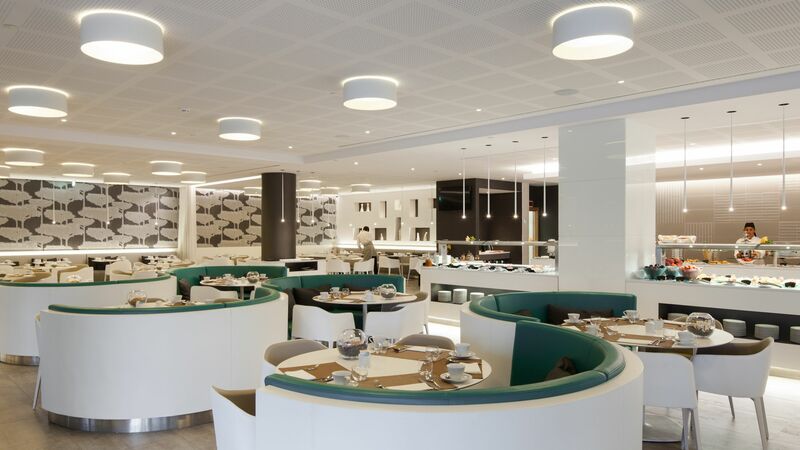 As the resort's main restaurant, this venue has a relaxed, comfortable atmosphere and serves both fresh buffets and à la carte menus (depending on the hotel's occupancy). Boasting resort views, a spacious terrace and Mediterranean fine dining, this venue gives an intimate touch. This restaurant was the proud winner of the Portuguese national award 'Revelation Restaurant of 2014'. Reservations are advisable. 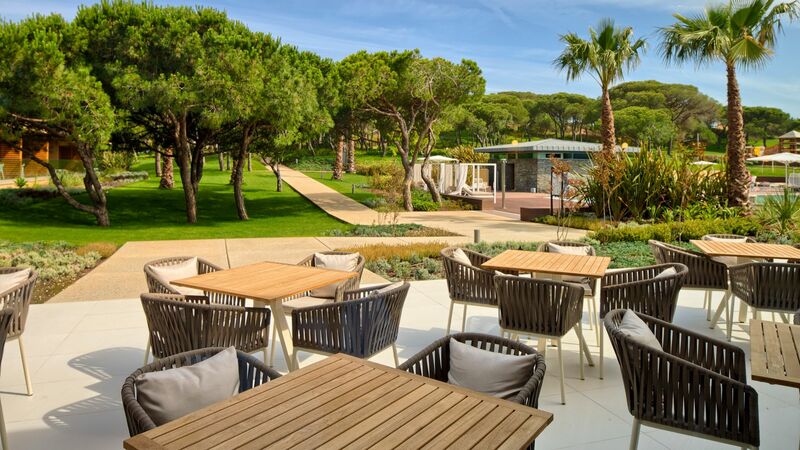 Situated at the poolside, this charming venue features contemporary décor, complimented by its fabulous location near the sea, beach and pine forests. Enjoy Mediterranean flavours throughout the day, either around the pool or a lunch on the deck. 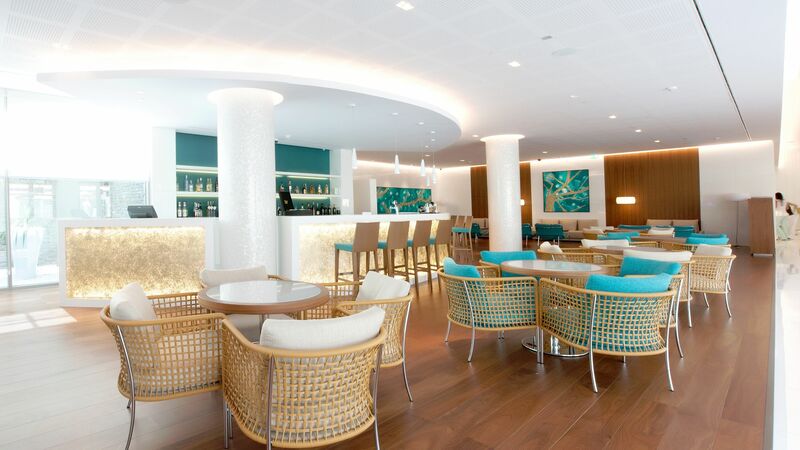 Lima Bar is located at the Resort Suites next to the pool and kids club. Lima Restaurant & Bar serves a family oriented brunch until 4pm with a wide range of drinks, cocktails and smoothies. For dinner, the Italian based menu caters to both families and couples as the atmosphere and the food are both sophisticated in nature but traditional in flavors. Epic Sana has a selection of bars suited to all times of day, whether it's a refreshing daytime drink at the Lima pool bar, a pre-dinner cocktail at Bluum Bar, or a long drink to unwind with at the By Epic lounge. Between them, the bars offer light bites and snacks to enjoy throughout the day. Guests receive private access to Falésia beach, entailing a scenic walk via a wooden suspension bridge, and through pine forests towards the sand! Theme evenings between 20:00 - 22:00 are available during the peak season. Catering to children aged between 4-12 years, the Little Stars Kids' Club has a wide range of entertaining activities from face painting to outdoor games. 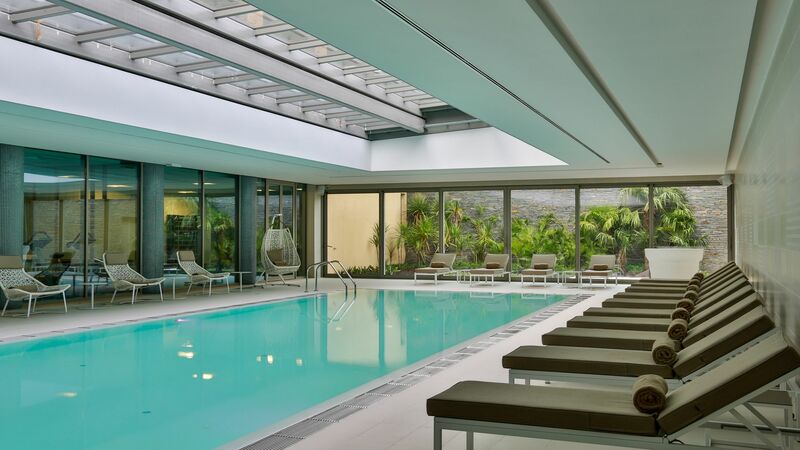 A visit to the wellness centre is recommended, offering an extensive treatment menu, fitness facilities and an indoor heated pool as well as personal wellness retreats with a holistic approach, completely tailored to customers' goals and objectives. The resort hosts a variety of outdoor options, with an area, easily converted into volleyball, basketball and tennis courts or futsal pitch. For keen golfers, the resort offers access to special green fees at a selection of golf courses in the Algarve. Located close to Praia da Falesia’s beautiful stretch of golden sands, Epic Sana Algarve Hotel is ideal for those who love the outdoors. Explore the beach and find your own secluded stretch or take part in the many water sports. Alternatively, stick to the land with tennis, horse riding and a fantastic selection of professional standard golf courses available in the local area. 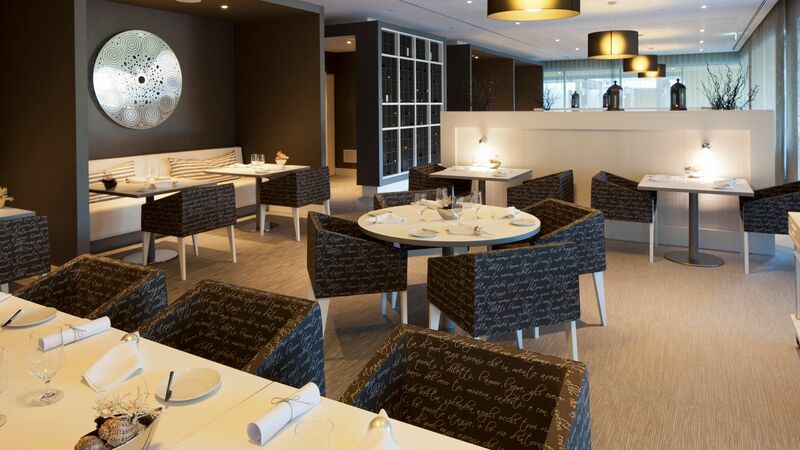 Those wanting to try some of the delicious local cuisine will find an excellent selection of upmarket restaurants in Praia da Falesia, with a host of other options in nearby Vilamoura and Faro. Vilamoura offers a swanky marina area with cosmopolitan bars and restaurants, as well as pretty, colourful houses. 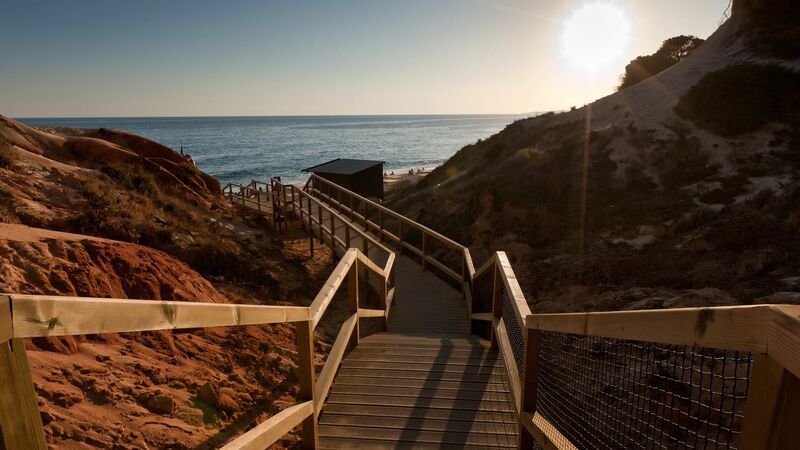 Epic Sana Algarve Hotel is a 40 minute drive from Faro Airport. Deluxe Rooms Resort View offer 32m² of living space with a large sun-bathed balcony and are located in the hotel building. Rooms feature king size beds, private deck terrace, bathroom with walk-in shower and bath, hair dryer, LED TV, tea and coffee making facilities, minibar, in-room safe and free Wi-Fi. Deluxe Rooms Pool View offer 32m² of living space with a large sun-bathed balcony and are located in the hotel building overlooking the main swimming pools. Rooms feature king size beds, private deck terrace, bathroom with walk-in shower and bath, hair dryer, LED TV, tea and coffee making facilities, minibar, in-room safe and free Wi-Fi. Deluxe Rooms Ocean View offer 32m² of living space with a large sun-bathed balcony which enjoy pine forest and ocean views. Rooms feature king size beds, private deck terrace, bathroom with walk-in shower and bath, hair dryer, LED TV, tea and coffee making facilities, minibar, in-room safe and free Wi-Fi. Deluxe Garden Suites offer a generous amount of living space and are ideal for all guests looking for privacy and exclusivity. These suites feature all the facilities as seen above, but also feature a guest bathroom, living area, turndown service and butler service on request. Each suite is set within an idyllic landscaped garden setting. Deluxe Ocean Facing Suites offer a 64m² of living space and are ideal for all guests looking for privacy and exclusivity. These suites feature all the facilities as seen above, but also feature a guest bathroom, living area, turndown service and butler service on request. Each suite enjoys an oversized balcony which enjoys pine forest and ocean vistas. So Suite - Studios offer 38m² of living area to include a fully equipped kitchenette and separate living area, with twin or double beds. Suite Home - One Bedroom Residences boast a larger living space of 79m² to include a fully equipped kitchenette and separate living area. One Bedroom Residences boast a larger living space of 79m² to include a fully equipped kitchenette and separate living area. Suite Home 2 Bedroom Apartments consist of So Suite and Suite Home to create luxurious, spacious retreat suitable for larger groups. Apartments feature two bedrooms, two bathrooms, fully equipped kitchenette and separate living area. Save up to 25% discount on the hotel price for holidays between 15 April - 31 May and 01 September - 31 October 2019. Save up to 20% discount on the hotel price for holidays between 26 July - 31 August 2019. Save up to 10% discount on the hotel price for holidays between 01 June - 25 July 2019. The above offers must be booked by 07 May 2019. Save up to £100 on the hotel price when staying in a Deluxe Room Resort View, Deluxe Pool View Room, Deluxe Ocean Facing Room, So Suite, Suite Home - 1 Bedroom Apartment or a Suite Home Pool View - 1 Bedroom Apartment. Save up to £170 on the hotel price when staying in a Deluxe Suite Ocean Facing or Deluxe Garden Suite. Save up to £200 on the hotel price when staying in a So Suite Home - 2 Bedroom Apartment. The above offers apply for holidays between 16 - 25 July and 25 - 31 August 2019 when booked by 07 May 2019. Receive a free upgrade to half board when staying in a Deluxe Room Resort View, Deluxe Pool View Room, Deluxe Ocean Facing Room, Deluxe Suite Ocean Facing and Deluxe Garden Suite for holidays between 04 July - 30 September 2019, booked by 07 May 2019. Guests staying in a Deluxe Suite Ocean Facing or in a Deluxe Garden Suite for a minimum of 7 nights receives 20 euros hotel credit per adult per minimum of 7 nights stay to be used at any restaurants or bars for holidays between 01 November 2018 - 31 October 2019. Guests staying for a minimum of 7 nights in a Deluxe Suite Ocean Facing and Deluxe Garden Suite receive one free message per adult per stay (hotels selection) for holidays until 31 October 2019. Golf group offer available, for further details please call our Trusted Advisers. A beautiful minimalist hotel ( looks like everything bought in that famous Swedish lifestyle store), where the rooms are large and the hotel and grounds very clean! Blumm Bar is too cool for words in terms of decor while the spa is just gorgeous with professional friendly treatments, for all ages! 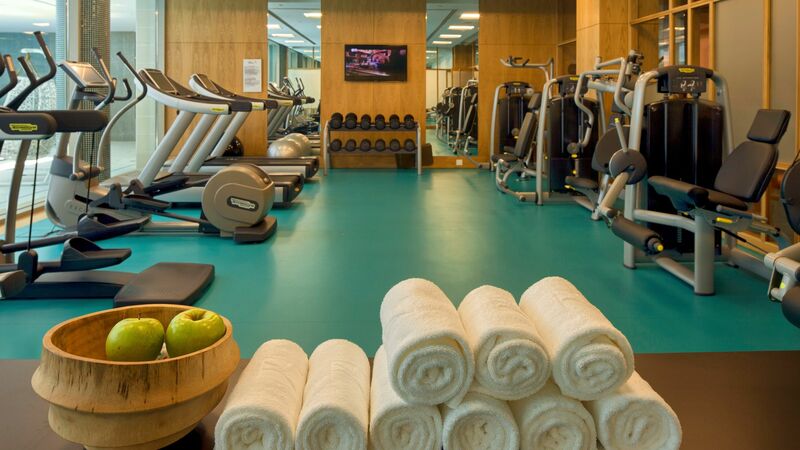 The daily complimentary fitness classes are well run and fun, while the outdoor pools are thoughtfully arranged. There are lots of young children staying over local holidays, but it still manages to be quiet and the views from the ocean view rooms and suites are worth the extra cost! I wish I could leave positives about this hotel but our experience so far only a few hours in has been horrific. We checked in after a very early flight only to be left at the desk arguing about my reservation. I was told for 30 minutes that I have two unpaid rooms even though I had paid. It was only after insisting that the lady looked into it properly and found that one reservation was paid. Without any apology she just said well "leave your number we will call you when the room is ready". The manager too was uninterested in solving in and walked off mid way. We finally get checked in and they had elected to give us twin beds even though the booking was for one double. At this point we are too tired to even complain. But I expected a lot more from a hotel of this standard and I definitely will not be coming back. From the treatment of other guests that we saw if we were caucasian we might have got a warmer welcome but it seems to be that ethic ethnic minorities aren't overly welcome here. Good looking hotel with stunning gardens. Great pools and access to beach. On the downside, kids club less impressive than others. Deluxe Garden Suite rooms very good (501-515 over two floors), 516 and above on one floor. We really enjoyed our stay at this hotel. I did not want to leave! The hotel was clean, modern, quiet, peaceful, a lovely warm indoor pool and kids club for the little ones on rainy days. The grounds are lovely to stroll around, very well kept. It's the perfect place for a wellness retreat. The spa is lovely and the massage brilliant. We went to the yoga classes and pilates on offer to the hotel guests. It's a lovely walk down to the beach from the hotel (not ideal for the unfit, elderly or anyone with a disability as there are alot of stairs). Saying that there are other accessible beaches a short drive away. The view from our room of the sea was lovely. We visited the hotel off peak so it was perfectly quiet like having an entire hotel, staff and grounds to yourself! Our own private oasis! Housekeeping were a dream, the staff here are all wonderful. The food was of very good quality and a lot of choice for carnivores. Things that could be considered for areas to improve: A few more local Portuguese dishes to choose from at the buffet dinner. Better choices of food for vegetarians or vegans. My husband said the vegetarian food on offer was a bit tasteless, the staff did say they could make a special vegetarian dish for him, but I think it would be better if they printed out a special menu for vegetarians to choose from if they dont like what's on offer in the main restaurant. For guests travelling with babies (which there seem to be a lot of) maybe a little baby toiletry kit for the rooms, would be a nice touch with some wet wipes and a swimming nappy or something like that. We had such a perfect vacation. Thank you to all the staff we met!